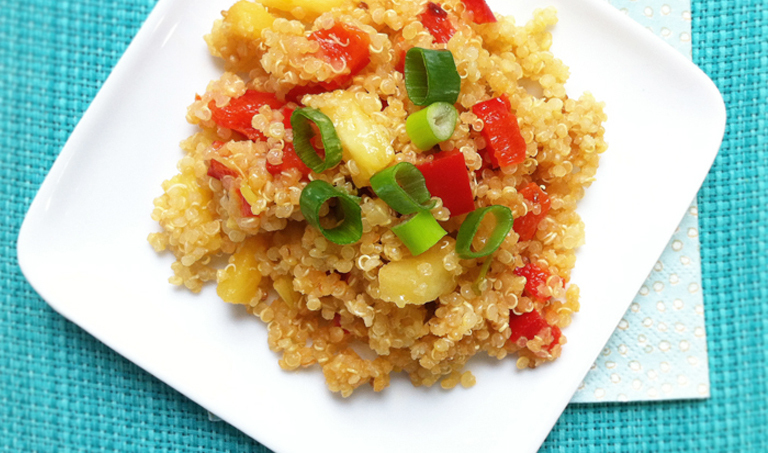 Quinoa is the high protein South American grain. Quinoa can be made a day or two in advance and stored in the fridge to add as an evening stir fry for a quick and easy meal. We stock British Grown Quinoa and Organic Quinoa including red and black Quinoa. Combine the above ingredients in a medium pot and cover. Bring to the boil. Stir a few times. Lower the heat to medium-low and cover, cook for 12-14 minutes. Uncover, fluff it up a little with a fork and let it cool. This is best once refrigerated overnight.